Three suspected Islamic State supporters planning an attack on a top tourist attraction in Venice were arrested by Italian police on Thursday, following an extensive investigation that foiled a plot to blow up the city’s famous Rialto Bridge. Wiretaps from the investigation revealed the suspected jihadist cell also celebrated the Westminster attack in London last week. Police discovered “disturbing and worrying” information which showed the men had undergone “religious radicalization” and were studying how to build explosives, carry out knife attacks and were undergoing physical training exercises, Reuters reports. “There was a lot of talk about unconditional support to Islamic State (IS, formerly ISIS/ISIL). It wasn't just theory and dogma," Venice’s chief prosecutor Adelchi d'Ippolito said, as reported by Il Gazzettino. The men also discussed going to Syria to join jihadist groups. Fisnik Bekaj, Dake Haziraj and Arjan Babaj all from Kosovo, were detained in overnight raids in Venice's historic old city, local news outlet La Voce di Venezia reported. A minor was also detained to prevent him from interfering in the investigation, police said. As part of the investigation, police tapped the suspects’ phones, monitored their online activity and bugged their homes. "Considering how many infidels there are in Venice, we could get to heaven right away by putting a bomb on the Rialto bridge," the wiretaps recorded the arrested men as saying, according to Reuters. 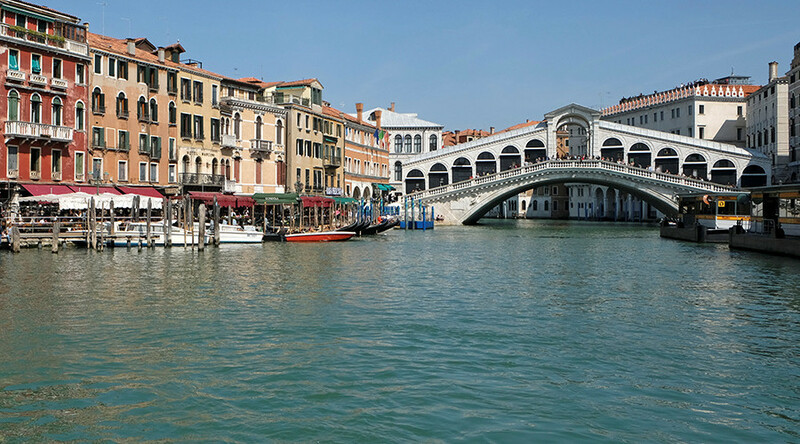 Rialto bridge is one of the most iconic landmarks in the city, which attracts millions of tourists each year. In the summer months, as many as 70,000 tourists flock to the old city of Venice each day. As many as three more Kosovars are under investigation over their ties to the group which has been under surveillance since last year. The police operation began when one of the men returned from a trip to Syria, La Stampa reported. Italy has deported 21 terror suspects since the start of the year. The operation was greeted with thanks among politicians, with Italian Defence Minister Roberta Pinotti tweeting her thanks for the police effort, while Venice’s mayor Luigi Brugnaro thanked the police for “breaking up a dangerous and active jihadist cell in the center of the city."